To say my friend “fell” from the ministry would be an understatement. If I told you what he did, you might want to quit reading. It was bad -- really bad. When you and I sin, most people never know about it. If a friend or family member is hurt, we can usually smooth it over. However, when this friend sinned, it made TV, YouTube, and the newspaper. Years after the events, the dust is still settling … and it may never resolve completely. Still, this man is a brother in Christ. And while what he did was revolting, the man is an old friend of 20 years. I recently caught up with him and he recounted for me what happened, relived the bad choices he had made, and took full ownership for what he had done. As someone well aware of my own sins, I was slow to cast stones. Instead, I listened with a heavy heart as he described the life-changing consequences he now endures. And through this difficult journey, he also told me about how Jesus had met him in these dark times. He had renewed hope, embraced a fresh forgiveness and understood life as he had never experienced it before. Don’t misunderstand. He was immensely sorry for his sin and broken by the consequences, but the result drove him to the cross in a way he never had experienced before. This horrible, humbling experience was both the worst thing -- and the best thing -- that ever happened to him. And lest you think I’ve given him a free pass for what he’s done, I haven’t. Still, my friend is a living example of the joy and growth that can come from brokenness. When we put aside our self-righteousness and embrace our pain and sinfulness, God can meet us in a special way. Most of us like to hide our failures and shortcomings. We smile at church, offering a quick, “I’m doing great. How are you?” After a while it becomes habit, and we begin to convince ourselves that we don’t have needs or problems. And as we strive to maintain this rosy picture, we miss out on the chance to meet God in the pain and difficulty we experience. We miss out on the chance to know his healing and his touch in a special way. After all, it’s not the healthy who need him, but the sick. Hannah … cried out to a husband who didn’t understand, and was accused of terrible behavior by God’s priest. After she prayed, God met her in a special way and answered her prayer (1 Samuel 2). Paul & Silas … were beaten and publically humiliated. They shared the experience together, embraced the pain, and found energy to praise God. In return, God shook the ground, broke their chains and freed them from prison (Acts 16). Jeremiah … was a reluctant prophet who didn’t want the job. He spent 40 years in ministry as a hated, sorrowful man. Thrown in jail for speaking the truth, Jeremiah had a difficult calling. When his prophecies came true and the city of Jerusalem was attacked, destroyed, and burned to the ground, there stood Jeremiah—with tears and a broken heart. And do you know what happened? God met him in his pain. The weeping prophet did not hide his pain but embraced reality. And in the middle of his anguish, he discovered the nearness of God and said, “Because of the Lord’s great love we are not consumed, for his compassions never fail. They are new every morning, great is your faithfulness” (Lamentations 3:22-23). Or how about David, whose lapse of character and judgment brought agony and pain on himself, his people, and his family. What’s the lesson he learned and subsequently, teaches us? You can meet God in a special way when you own up to your sins. “Blessed is the one whose transgressions are forgiven, whose sins are covered … When I kept silent, my bones wasted away … Then I acknowledged my sins to you … And you forgave the guilt of my sin” (Psalm 32). Life is painful. If it doesn’t hurt now, it will at some point. 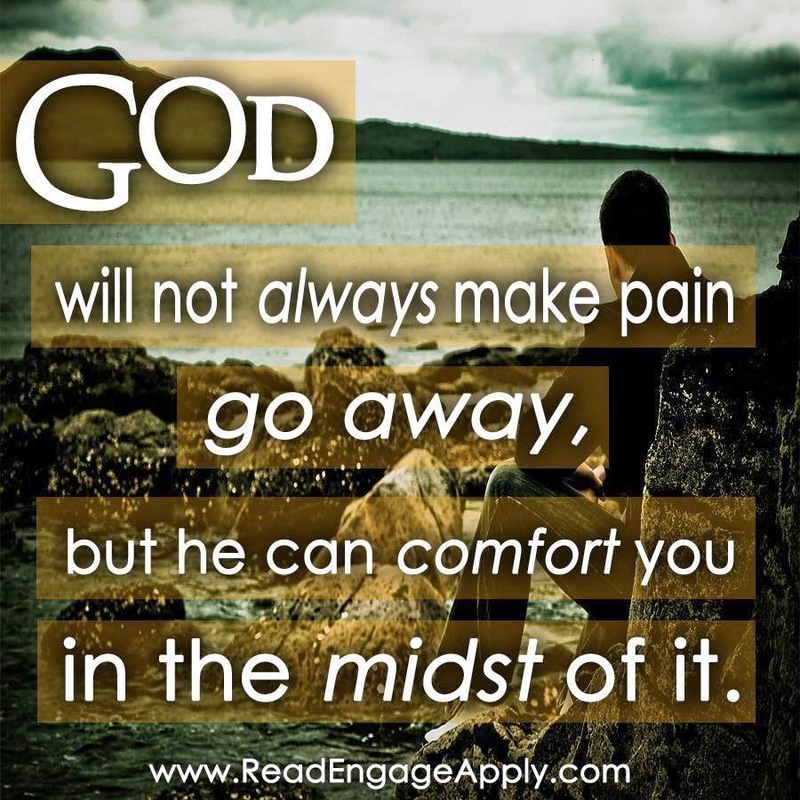 And in the denial of those difficult times, you may miss the opportunity for God to meet you in your pain. The problem is often our ego. We don’t want people to see the real us. We don’t want people to see us cry. We think that if we hold it inside, we won’t have to share it with others or with God. The problem is, when we do that, we miss out. Sometimes that pain is inflicted on us and sometimes we bring it upon ourselves. Regardless of the source, every moment of pain comes with a decision. 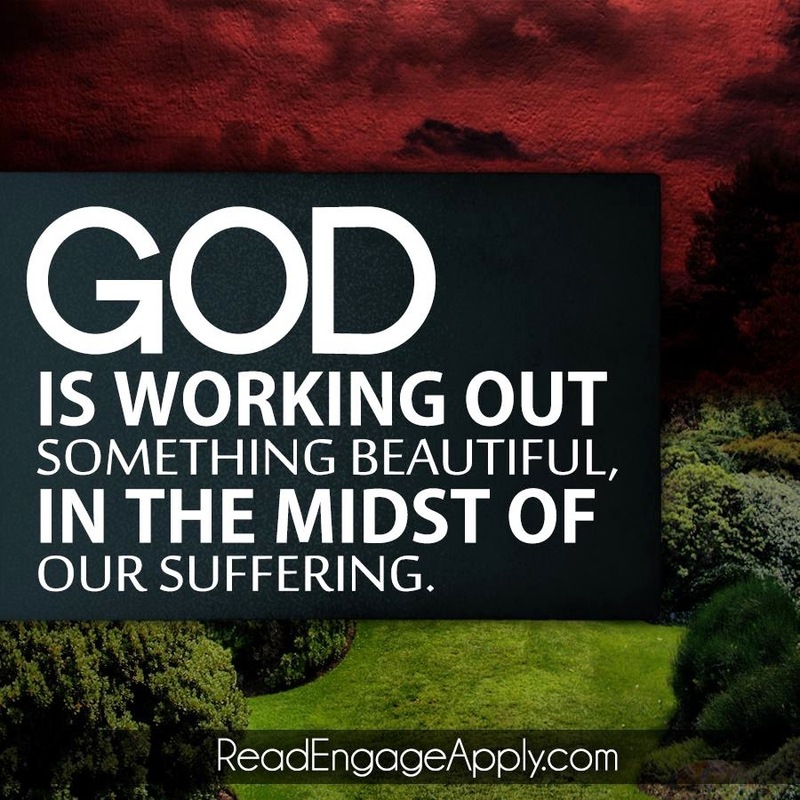 Will we stuff the feeling deep inside and try to numb it, or will we embrace it and let God meet us in that pain? I have known people who try to numb their pain in many ways. I’ve seen people try to drink their troubles away. I’ve known young people with scars on their arms and legs who tried to find relief through cutting. I’ve seen dear friends try to comfort themselves by eating too much—and others try to take control by eating too little. And me? My usual escape isn’t a substance but rather the busyness of distracting activities … because I know that if I stay busy enough, I won’t have to think about it. Life rarely works out the way we want. And the surprises that blindside us can be devastating. Even if we manage to dodge the outside forces that can damage us, we still have a tough time evading the effects of our own sin and shortcomings. Hide it? Stuff it? Numb it? Or embrace it. Yes, embracing the pain hurts. But by being honest with others, ourselves, and our God, we have the opportunity to meet him in a way we’ve never known before. An experience we wouldn’t trade for the world. Thank you for sharing this. It has been my burden that others would stop playing church and be real. For the past 15+ years my husband and I have experienced unbelievable suffering through various situations. We had been teaching a married couples class for over 10 of those years. God has been extremely faithful and we have always been upfront with everyone as to what God is doing in our lives. Some back away as they don't know what to do, some try to provide solutions, some embrace to pray for us and most importantly some come out of the shadows to quietly talk about a same situation. The church should b a Holy Spirit Hospital with broken people seeking the Great Physician. Your blog today should be embraced by those sharing the Gospel. Would u consider a book on this? Renee, thanks for your comment and ministry. I wouldn't say I'm an expert on this topic...but learning. My situation is different than the previous comment. I am a work in progress, I had a family member that was causing me great pain an distress. That member went into my work place an my church th I cause the grief. You know you hear of people that can sell a bill of goods to anyone. That is my family member. Anyway, I became dependent upon my mother, an the Lord saw fit to take her home. It threw me in a tail spin, that only my saviour could bring me out of. That is where I met God again. Praise his name! Fry, thanks for sharing. We are all a work in progress. I think the important step is admitting that. Thanks for hosting this bible study. I am eager to learn more. I am learning to stop hiding. Sometimes I hide the pain and what I am going through because I am embarrassed or have a false sense of pride. Now I am learning to find blessings in my adversity. Some days we are hungry; some days I cry because my legs hurt; I get sad because I want to work....I cannot work right now because I cannot sit for long or stand for long. Now I have become so frustrated that I am going to reach out to Social Services. People look down on others who get help this way. God will not look down on me. If and whenI go for help, it will be ok. I will get the medical and living help that I need. 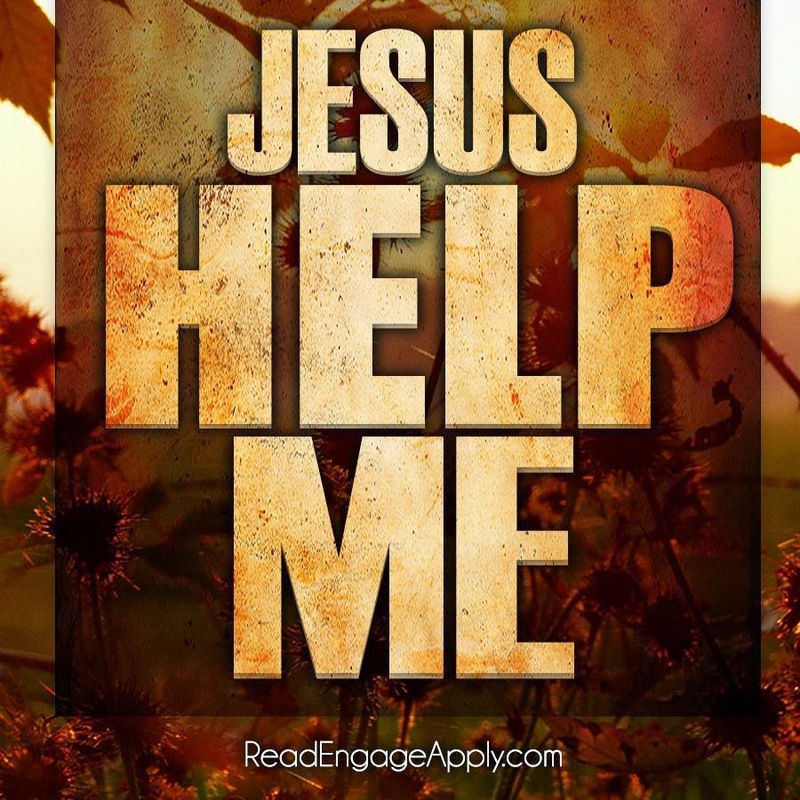 I feel like Jesus is standing with His arms open widee, waitng for me to go to him; to cry out; LORD I NEED YOU, I NEED HELP; I CANNOT KEEP HIDING and acting like things are ok. I worked for more than twenty years and put money into the system by paying taxes..ok now I swallow my false pride and go for help...Thank you Jesus for giving me the power and strength to be honest..Thank you Christopher for giving me this opportunity.